Summary: Exciting news! Nbeads has increased its affiliate program commission up to 15% (which is 10% before). Exciting news! 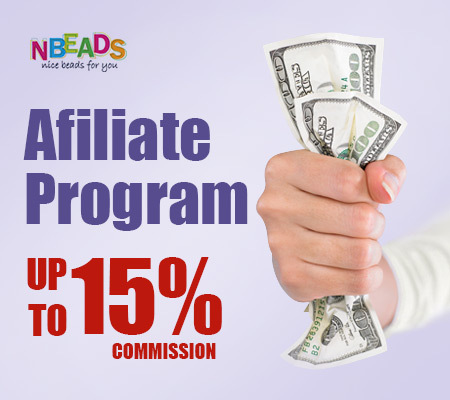 Nbeads has increased its affiliate program commission up to 15% (which is 10% before). In order to return affiliates’ efforts, we increase the commission for better cooperation. If you have any other question about our affiliate program, please feel free to contact us: [email protected]. We will feed back you as soon as possible. BTW, we would be more appreciate if you mail title is “Nbeads Affiliate Program”. Looking forward to your join and message.